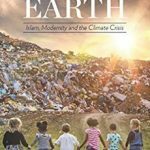 This book, by the world’s leading Muslim environmentalist, explores what is the greatest threat humanity faces today, Climate change. This event is a special appeal to all humanity to reflect on their duty as stewards on the earth. Register your place via Eventbrite and latest details on the Facebook event page. A major study of environmentalism and Islam in practice and theory, with an historical overview that sets out future challenges, including reformulating the fiqh or Islamic legal tradition to take the ecological dimension seriously. 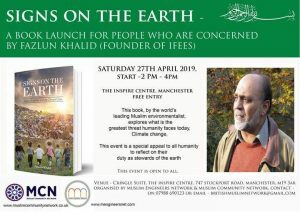 In addressing this book to the one billion Muslims in the world it has the potential to reinvigorate the desire for environmental change in a community that is ignored at the planets peril. In arguing that modernity, consumerism and industrialisation need to be rethought, alongside an appeal to reconnect man and woman with creation in the divine order, this book has the potential to transform a generation. In the same way that Naomi Klein’s This Changes Everything presented the argument for environmental action in a Capitalist framework, Fazlun Khalid has written a book that demands action from those whose primary orientation is towards the Islamic faith.